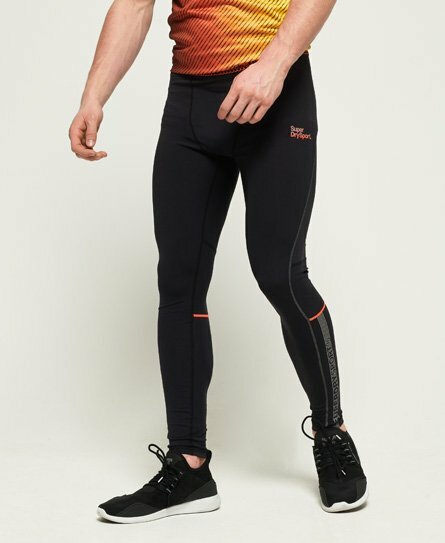 Superdry men's Active leggings. Combining style, comfort and technical performance, these leggings are a must have update to your workout wardrobe. Four way stretch fabric has been combined with moisture wicking technology to keep you cool and composed as you workout, while flatlock seams only add to your comfort. With a branded waistband and Superdry Sport logo on one leg, these leggings have been completed with reflective detailing in the seams, to help improve visibility in low lighting.